Don Spoon was born in 1941 in Mound City, Missouri. He enlisted in the U.S. Air Force Reserve on June 9, 1959, and attended the U.S. Naval Academy Prep School for a year before entering the U.S. Air Force Academy in June 1960. Spoon graduated from the Air Force Academy and was commissioned a 2d Lt on June 3, 1964, and completed Undergraduate Pilot Training at Vance AFB, Oklahoma, in August 1965. After completing F-4C Phantom II combat crew training, Lt Spoon was assigned to the 92nd Tactical Fighter Squadron of the 81st Tactical Fighter Wing at RAF Bentwaters, England, where he served from March to November 1966. He next began flying combat missions in Southeast Asia with the 480th Tactical Fighter Squadron at DaNang AB in the Republic of Vietnam in November 1966, and was forced to eject over North Vietnam and taken as a Prisoner of War on January 21, 1967. After spending 2,234 days in captivity, Capt Spoon was released during Operation Homecoming on March 4, 1973. He then attended graduate school at Colorado State University, but was accepted to medical school before completing his Masters Degree. 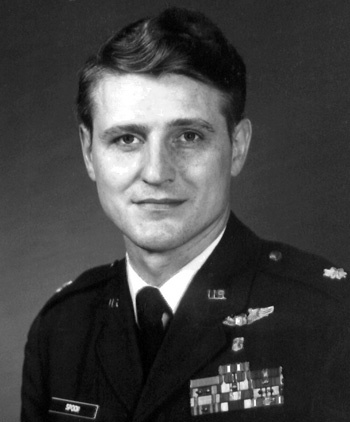 After completing medical school at Washington University in 1977, he served as a Family Practice and then an Aerospace Medicine Physician at Eglin AFB, Florida, from November 1977 to January 1984. His next assignment was as Chief of Medical Operations and Deputy Commander for Research, Development, and Acquisition for Headquarters Aerospace Medical Division at Brooks AFB, Texas, from January 1984 to June 1989. 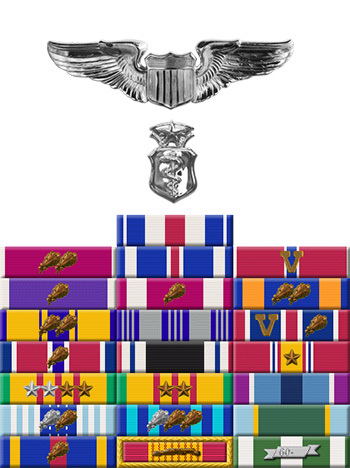 Col Spoon then served as Vice Commander then as Deputy Director of Crew Systems for Armstrong Laboratory at Wright-Patterson AFB, Ohio, from June 1989 to 1993, and then as Director of the Project Reliance Office of Armstrong Laboratory at Brooks AFB until his retirement from the Air Force on May 31, 1994. Don married Alice Braswell on August 25, 1973, and they have three children-Kelley, Donia, and Thomas.